Are Intergas Boilers Any Good, And Worth The Cash? Welcome to our quick-fire guide, covering everything you need to know about Intergas boilers. Below we’re going to cover Intergas boiler prices, cost of installation and the best boilers with the highest warranty in their range. We’ll also cover whether you should choose Intergas, or another top boiler brand for your installation. Let’s face it; installing boilers isn’t cheap. And with the boiler itself making up around 50% of the installation cost, it makes sense to find the brand offering the best value for money. Intergas tend to sit in the mid-range in terms of price, so are comparable to the likes of Ideal. As a example, a quick Google search is going to show that the Intergas Xclusive 24 can be purchased for around £900. That’s similar in price to the Ideal Vogue, at around £950. Both boilers come with a 10-year warranty. And, if you’ve read any of our other posts, like our one on the best boiler brands, you’ll know we’re big fans of Ideal. So, price wise? We think Intergas offer excellent value for money. How Much Does It Cost To Install An Intergas Boiler? Expect to at least double the price of the boiler, to come up with a rough installation price. So, you’ll be talking around £1,800-£2,000 for both the Intergas Xclusive 24, and the Ideal Vogue C26. Of course, this is going to vary from installer to installer. Some might just be outright cheaper, whereas others might have incentives from their local merchants or even a specific boiler brand, getting those boilers at lower prices, and passing on that saving to you. You can check what an installer would charge by comparing quotes here. When ever there’s a boiler comparison being made, it’s likely Worcester Bosch is the brand people want to compare against. And, that’s not just because they’re the most well-known manufacturer, they’ve also won the Which? Best Buy award, 9 years in a row. There’s no doubt Worcester are typically among the most expensive boilers on the market. However, Bosch have now invested in a company called BOXT; an installation platform that’s already fitted 10,000 boilers. The partnership between Bosch and BOXT, means one thing; for Worcester boiler installations, BOXT are about as cheap as you’re going to get. For example, we mentioned doubling the cost of the boiler, to get an estimate for overall installation cost. If we search the Worcester 25i, we’ll see a price of £900-1,000, meaning around £2,000 would be a reasonable estimate for installation, and more like £2,200-£2,500 from a national company. Jump onto BOXT? You’ll get that exact same boiler fitted from £1,795. But we think the warranty a boiler manufacturer offers, speaks volumes. You’ll have noticed we’ve used the Intergas Xclusive in our example above, and that’s because it gets a 10-year warranty when fitted by an accredited installer. That’s comparable to the Ideal Vogue and Worcester 25i, again, both mentioned above. If a boiler manufacturer is willing to offer this level of warranty, they have confidence in their product. But, the 10-year warranty the Xclusive gets, is the highest in the range. So, if your installer is offering a different Intergas boiler, bear in mind the warranty. I personally wouldn’t have a boiler with less than 5-years warranty, and I’d aim straight for 10 where possible. And, that’s because the warranty offered, doesn’t affect the overall installation cost considerably. 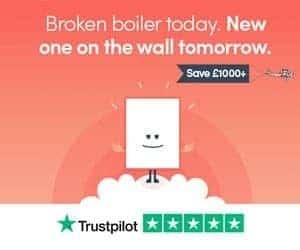 If we take the prices for the boiler with the least warranty (Rapid, around £650 for a 24kw), and the model with the highest warranty (Xclusive, around £900 for a 24kw), you’re looking at saving around £250, but you’ll be losing out on 7-years warranty. That’s around £36, for each additional year of warranty. I’d sooner take that, than have to fork out £1,800+ for a new boiler during that period. Finding reviews for boilers isn’t the same as your average product on Amazon. However, they are out there. For instance, there’s some excellent reviews on Expert Trades here, focusing on the Intergas HRE boiler. But not all reviews are positive. And, that’s odd, given Intergas are highly regarded (in general), by both consumers and installers. Many of their 70+ Review Centre listings say otherwise; you can read them here. Finally, one of our favourite places to check out reviews, is Trust Pilot. Currently, there are only a handful of reviews currently listed (here). Should You Buy An Intergas Boiler, Or Worcester Bosch? All said and done, where does that leave us? Assuming there isn’t a particular boiler that’s more suited to your individual property’s needs than another, it really comes down to brand preference and price. And, as we’ve already mentioned, BOXT’s partnership with Bosch, mean they can offer Worcester Bosch boilers incredibly cheap. Typically, you could expect to save £100-200+ compared with a local installer fitting a brand like Intergas. That figure is going to rise considerably if you’re talking about a national company installing a Worcester boiler; £500-1,000 in savings and beyond. You can get a fixed price online from BOXT (no personal details needed). Then, you can compare that price with prices from local installers for Intergas boilers. Thanks for reading our guide to Intergas boilers. Still not sure which boiler you should buy? Check out our boiler replacement guides here. Drop us a line via our contact form and we’ll do our best to help you out.